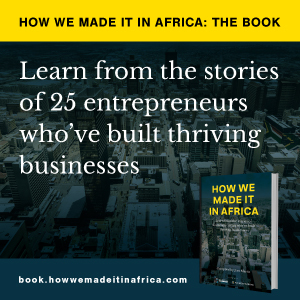 This article is part of a review of HOW WE MADE IT IN AFRICA: THE BOOK, published in Old Mutual’s Mindspace magazine. Jennifer Bash is one of the 25 entrepreneurs featured in the book. This quote from Jennifer Bash, co-founder and CEO of Alaska Tanzania gives an idea of her outlook on entrepreneurship. When she and her husband left Tanzania to study in the US, they left their small egg-supply business in the hands of a manager. Upon their return, it was floundering. But she had seen the value of branding in American supermarkets and in 2013 changed tack to create Alaska Tanzania, a value-added company that sources, packages and markets high-quality agricultural products. “There is the perception that developed countries provide superior products,” she says. It therefore took a while to change consumers’ and supermarkets’ minds about locally produced and packaged items. Gradually consistency in quality, the hallmarks of all Alaska Tanzania products, paid off. Bash grew her product portfolio by introducing rice and maize flour. Crucial to her business plan is to increase revenue through a comprehensive strategy that involves an inclusive process of sourcing directly from farmers, broadening Alaska Tanzania’s product offering and diversifying distribution channels. She also works with mama lishe, Tanzania’s female street-food vendors and says, “Smallholder farmers and mama lishe are our partners and strengthening their capacity is a win-win. As we grow, they grow; as they grow, we grow. Alaska Tanzania’s eggs are found in all the supermarket chains in Dar es Salaam, where they compete with other Tanzanian brands, not imported ones like before. Because of Bash’s ongoing efforts to strengthen Tanzania’s agribusiness, she is frequently invited to speak at events like the Technical Centre for Agricultural and Rural Cooperation’s briefing in Brussels last year, where she spoke on AgriSoko. This app and online portal, developed by Alaska Tanzania in partnership with WS Technology Consulting, allows farmers, mama lishe and retailers to keep accurate record of all their transactions so that they can plan, budget and obtain credit from financial institutions. At the 2017 All Africa Business Leaders Awards she was named Young Business Leader of the Year – East Africa.